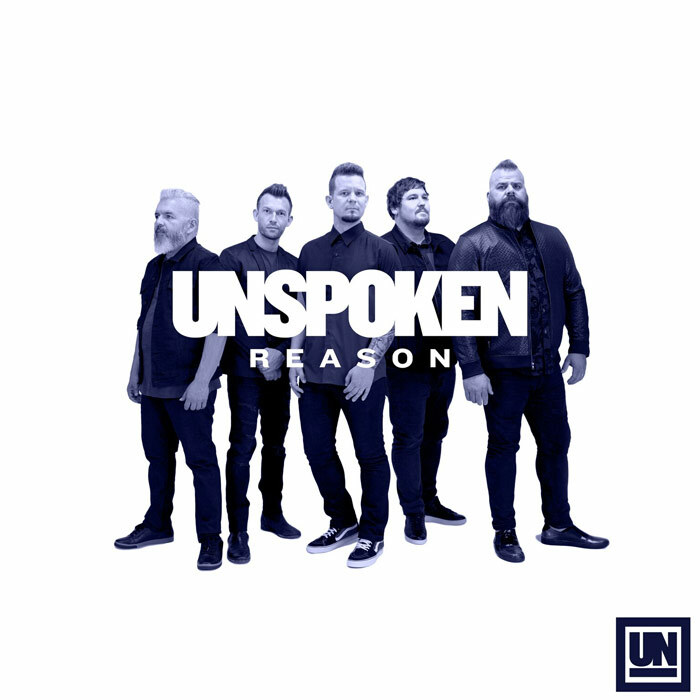 Unspoken released a new single today, along with the announcement of their third album, both titled “Reason.” The new album will mark the band’s first full-length record in three years, set for release June 21. Listeners can check out the song “Reason” through all digital outlets and its lyric video, plus pre-order the album next week on Unspoken’s website. With the new music, Unspoken adds gospel influences to their signature soulful-pop sound, striking the right chord musically and emotionally. “The thing about soul music, the roots of this type of music is tribulation, it’s trials, it’s desperation…It’s why all of us relate to gospel music in some way, shape, or form. The themes of this record come from seasons of trial and tribulation, so it only made sense to add some of these elements sonically. It’s what this album needed,” Mattson describes. Next week’s pre-order will include exclusive merchandise bundles. Keep up with all new announcements by following the band on Facebook and Instagram and signing up for their email list. Plus, catch Unspoken on their current tour with North Point InsideOut and Caitie Hurst, which runs through mid-April.